You can create and add a QR Code that holds the URL of your website or page. When the QR code is scanned with a mobile phone, the phone browser will navigate to your site or page with relevant details of your event. Enter the URL below and hit 'Get QR Code' to display the QR Code and load the page to check correct URL. When the QR Code appears, right click and choose 'Copy'. 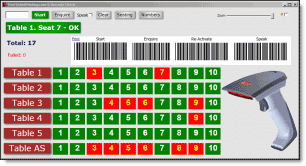 Now, in the ticket editor, right click and choose 'Paste Image'. Mouse-wheel to re-size and drag to position. 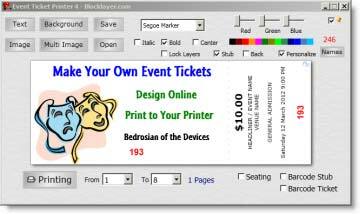 Be sure to test the QR Code for correct URL and size before printing tickets. Watch this short video to see How QR Codes Work! 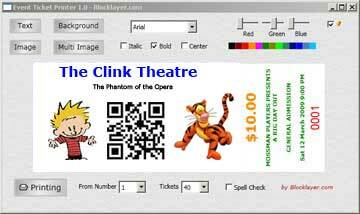 Be sure to test the QR Code before printing tickets. Click QR Code to test page navigation. Use your QR Code to link to any promotional material for your event. For example, you could link to a page with reviews, video clips, etc.